The study, "Small groups, contexts, and civic engagement: A multilevel analysis of United States Congregational Life Survey data," published in the July issue of the journal Social Science Research, reveals that the positive effect small-group participation has on being engaged in the community can be drastically reduced in congregations that are very successful in developing these groups. 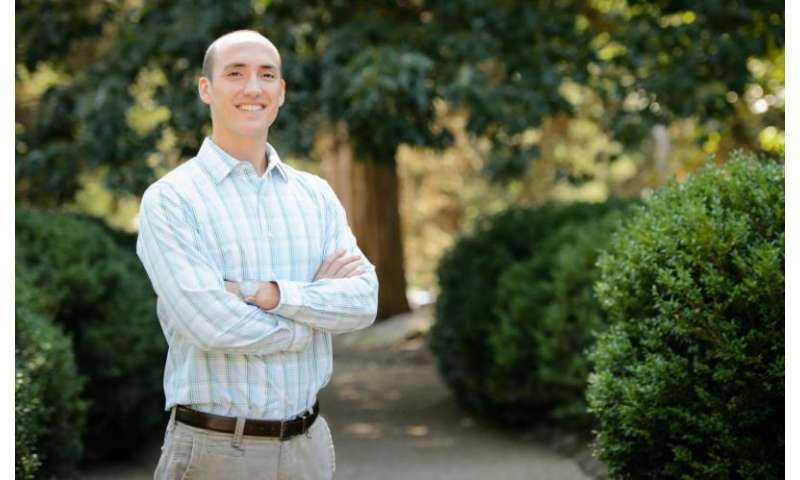 Clemson researcher Andrew Whitehead, an assistant professor of sociology, and co-author Samuel Stroope of Louisiana State University, said small-group participants who are active in prayer, discussion or Bible study groups are far more likely to be engaged in civic service activities, volunteering, financial giving and advocacy than their fellow communicants. However, in churches with high levels of group participation, these parishioners are almost two times less likely to donate money to charities other than the church. Whitehead and Stroope's research analyzed data from more than 83,000 individuals affiliated with approximately 400 congregations from around the country. "Our research found participants in small groups within a congregation where few other fellow congregants were involved in a small group were about 60 percent more likely to be involved in congregational civic activities and 33 percent more likely to be involved in social service activities compared to non-small-group participants in that same congregation," Whitehead said. However, he added, small-group members in congregations with high overall small-group participation were less likely to be engaged in civic activities. In that instance, small-group members were only about 38 percent more likely to be involved in congregational civic activities and no more likely to be involved in social service activities compared to non-small-group participants. "Essentially, the beneficial effect of being in a small group for congregants' civic engagement is diminished in congregations where most of the other worshipers are involved in a small group," Whitehead said. "The dense social networks and strong bonds created within congregations with high overall small-group participation can actually serve to isolate congregants from the needs of those outside the religious group, leading to lower levels of civic engagement." While congregations with a robust small-group ministry can actually produce congregants with lower levels of civic engagement, Whitehead and Stroope point out this is not necessarily a difficult issue to overcome. Ministry leaders who encourage those in small groups to consistently serve in the surrounding community may ensure congregations built around small groups do not become isolated and inward-focused.